This week, among the many reveals at the LEGO event, we were introduced to several new Star Wars sets that looks pretty good. The graphics used to present the sets are nice, and along with the “Lifestyle images” for LEGO’s new Statue of Liberty seems to show an evolution in the thinking of how LEGO will market some of these sets. Of these 4 sets, Snoke’s Throne Room is “new” whereas the other 3 have all had versions released in the past. 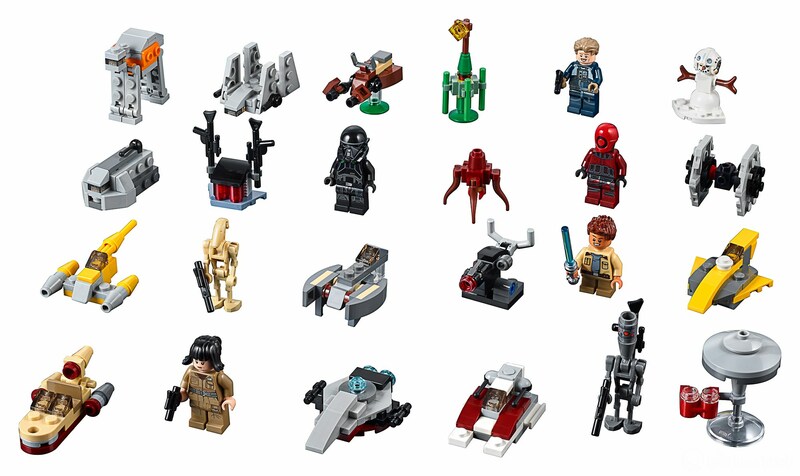 The new sets feature some better parts choices, since they didn’t exist before, and new minifigure designs in some cases. LEGO also released a picture of their 2018 Star Wars Advent calendar revealing all of the mini-builds within it. I’m choosing to NOT post the picture here and keep the surprise for December. If you want to see it you can click this link for the picture. Previous article2 New LEGO Batman Sets and a … Batmobile?